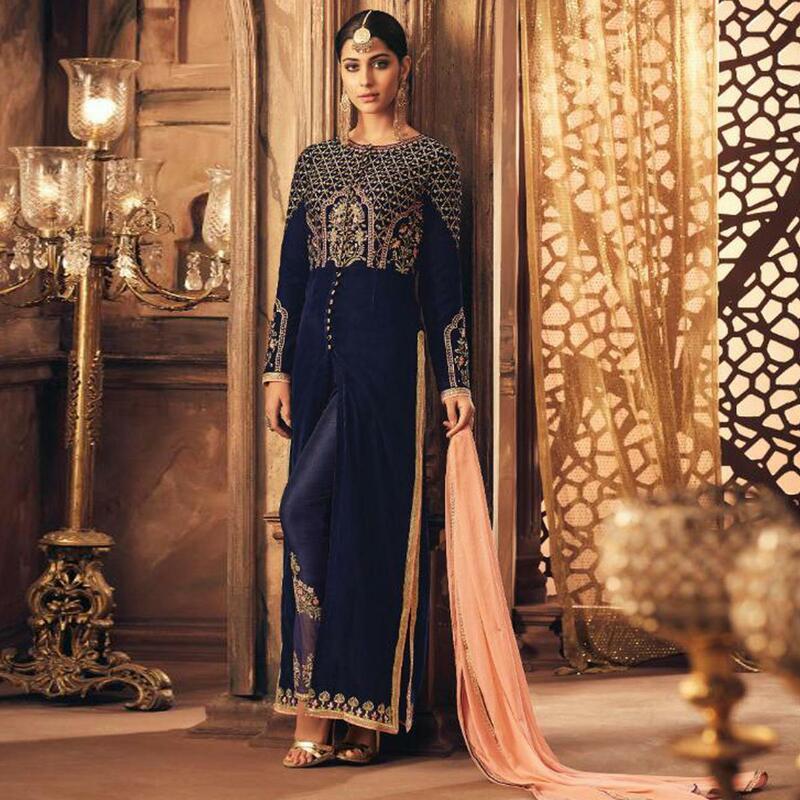 Flaunt your simple and pretty look with this adorning navy blue colored falkn velvet front slit cut suit. 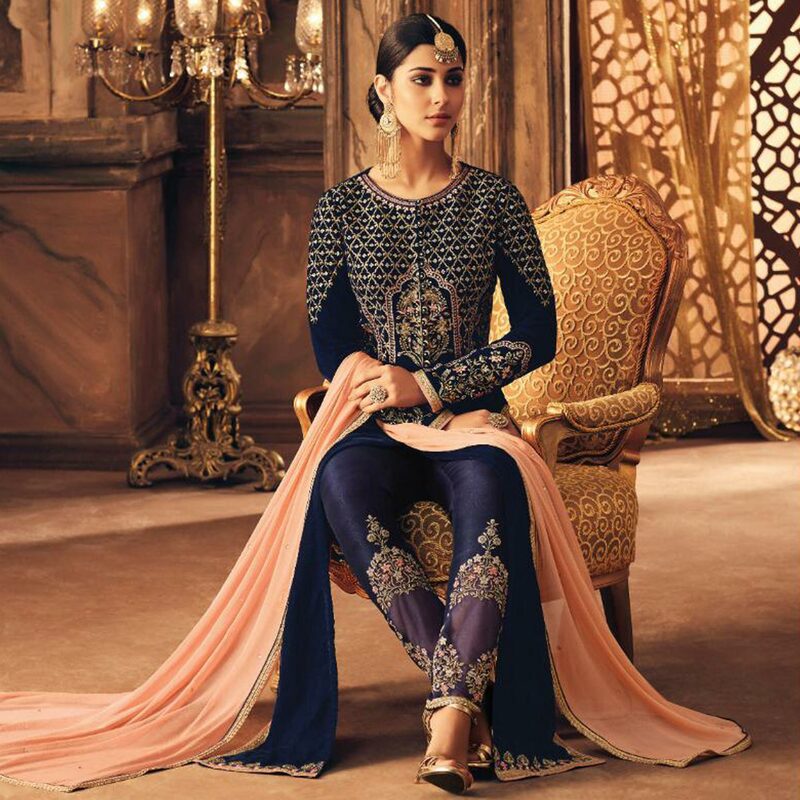 This partywear suit is beautifully adorned with embroidered work comes along with santoon bottom and chiffon dupatta which makes it appear more adorning. Specially designed to wear for wedding, parties, functions or occasions, where you want to be center of attraction. Team it with fashionable ethnic accessories and high heel for a complete look. Buy this suit and earn lots of compliments from onlookers.